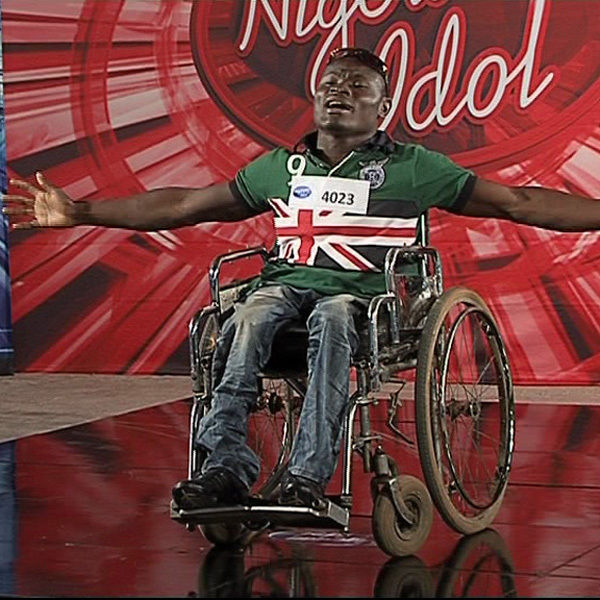 GUESS WHO AUDITIONED ON NIGERIAN IDOL SEASON II? FAITH FINDS A WAY, THE SECOND TIME AROUND! 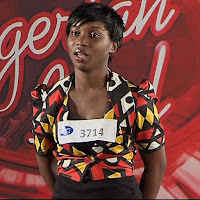 Faith Douglas first showed up in Nigerian Idol in Season 1 when she wooed the judges and got a gold ticket to the Dream Studios for her efforts. However, she fell ill and had to drop out of the show for treatment. . 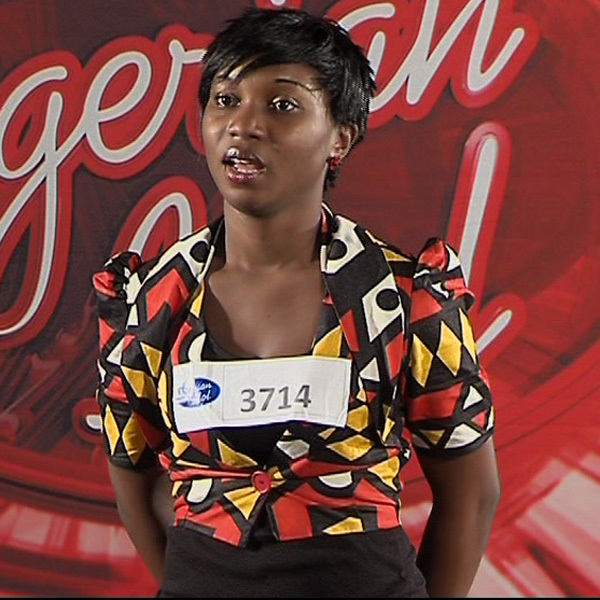 This did not deter the vibrant 17 year old who vowed to return in Season 2 to prove herself once more to the judges. According to Faith, she discovered her gift for singing early in her childhood and was encouraged to pursue her dreams to a reality by her mother. “When I realised I had the gift of singing, she explained, I decided to join the church choir. It was at the choir that I learnt how to sing to crowds.” “ She can sing very well, She can sing to big crowds, anywhere you leave her, her voice will carry you, said Mrs Aghaheron with tears in her eyes. I was so happy when she won the golden ticket”. To the confident Faith, all her efforts would have been futile if not for the support from her mother. “It is my prayer that I can change lives in so many ways, especially for my mom, she says. She has been so supportive in so many ways, in the aspect of prayer, she tries to encourage me to become the best at what I do, and she even makes my clothes she adds excitedly. During his time at the auditions, the judges could not resist the soul and feeling he put into every word as he performed ‘If I aint got nothing’. Idol Judge Jeffrey Daniel spoke to Godwin, “to be honest with you, I think we have been waiting for you. And we are happy that you are here, thank you for coming. For Yinka Davies and Charly Boy, Godwin’s performance was so impressive that he was given the gold ticket to the Dream studios. 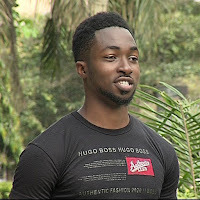 According to his brother Edwin, Godwin is naturally gifted, music is a part of him and he brings his best out in music. We have encouraged him because that is the best way for him to shine.” And shine Godwin will as he heads for the group stages of the show. A SPOONFUL OF HONEY AND MUSIC! Honey’s confidence has not always been with him as he reveals that he has had to mature in the art. “These days, when i wake up in the morning, I just sing. It was not always easy for me, infact at one of the first auditions I went for, I froze. The first time I had to get in front of a large crowd, it took me a lot of effort.” The self professed cartoon addict impressed the judges with a rendition of his own song, ‘I dey’ and received high praise from the three judges. Jeffrey Daniel called him a good musician and Charly Boy praised his stage presence while Yinka Davies appeared overwhelmed by his talent. He was given the rare gold ticket to the Dream Studios. “I am a very simple person, he smiles, I do not have airs or graces or anything like that. With the heat on as the competition intensifies, Honey Adun has only one motive, I just want to impress everyone with my voice.” With a goal as simple as that, we can only hope the sweet sounds of Honey will see him through. When Sylva opens his mouth to sing, one readily forgets his physical condition to dwell on the beauty of his voice. Upon meeting the judges, Sylva chose the R.Kelly classic, ‘I believe I can fly’. The judges were held spell bound by his voice as he began, waving his arms in rhyme with the words of the song. As his voice faded, the usually stoic Yinka Davies was moved to tears. At the end of the day, Sylva proceeded to the next stage of the competition to take a chance at becoming the next Nigerian Idol. “I will make it one day, Sylva promises , I will become the next Nigerian Idol. This leap of faith proved worth it as the judges were very impressed with her, giving her the three yes es that took her further into the competition. “I have a beautiful voice,” she said excitedly. “I have what it takes to become the next Nigerian Idol. This is all I have been dreaming of, now it is finally coming true. I believe I can make it to the top as the next Nigerian Idol.” With such resolve, one cannot help but wish the gutsy and gifted Deborah the best of luck as she pursues The Nigerian Dream on the platform of the popular Nigerian Idol Season 2. Obinna is confident he stands a chance to win the competition amongst a pool of other very talented musicians. “Winning Nigerian Idol will change everything for me, he says with a huge smile. “My career, my family, everything would change for me!”. After he received a standing ovation from his fellow contestants while rehearsing, the judges were taken by the power in his voice and the charm in his performance and he was rewarded with a golden ticket to the Dream studios.